My classroom library is the heart of my classroom, and it is fundamental to how my classroom lives and functions. I started building my library the same week that I turned in my application for my teaching certification program, and it just continues to grow. 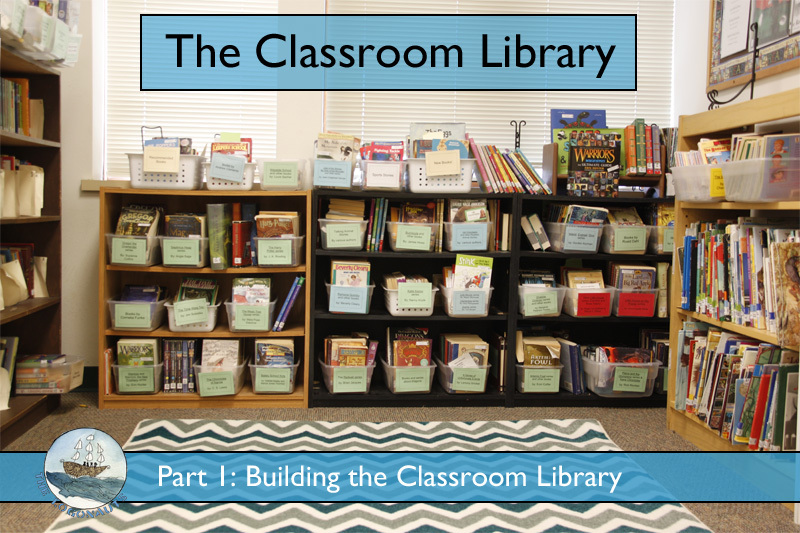 This post was inspired by a recent series of in-depth classroom library posts over at The Thinker Builder on classroom libraries. Let's start with the most obvious question - why do you need a classroom library when your students already have access to a school library and a public library? For me, there are many, many answers about the benefits of a classroom library, but first and foremost is ease of access and the ability to curate. Having a classroom library makes a statement about you and about your classroom. It establishes the importance of reading and access to great books. Constantly surrounding students with books helps pique their curiosity, teaches them to browse and borrow, and reinforces the class as a reading community. There is a huge difference between telling a friend about a favorite book and handing a friend a copy of a favorite book. It is hard to convince yourself or a teacher that you "can't find" a book, when you are surrounded. Another benefit of having a classroom library is the ability to curate a collection that best fits the needs of your particular students. Depending on the scope of your school, your school library likely has a wide range of readers and grade levels, whether you teach at a K-5 or a K-8 school (or any other configuration of grades). Having a classroom library makes it easier for students to be successful in finding and browsing for books at their own developmental and reading levels. Knowing the books in your classroom library makes it easier to help match books and readers. As a teacher, you need to be a reader and to be knowledgeable about the books in your library and in your students' lives. Have I read all 1,500+ books in my classroom library? No, but the percentage I have is quite high, especially if you count having read at least one book in a series as covering the whole series. My familiarity with my library and its books makes it much easier to help students find books based on another favorite book or books by the same author or books on the same topic. Getting books into the hands of readers is an important step. Absolutely, building a classroom library is a commitment of both time and money. Don't feel that you need to rush out to the nearest book store and buy a thousand dollars worth of books. Shop smart and commit to building your library slowly over time, and you will find that you can get far more for your money than you may have expected. Buy used. There are many opportunities to find inexpensive used books, no matter where you live. Start with your local thrift stores, Goodwill, or Half Priced Books-type stores. (Even at half-price, books can be expensive, so I often stick to the clearance section.) Our local thrift store chain has a large library reading room that sells most children's books for fifty cents to a dollar, maybe a little more for hardcovers. Pay attention to neighborhood garage sales as well. Check for library book sales. 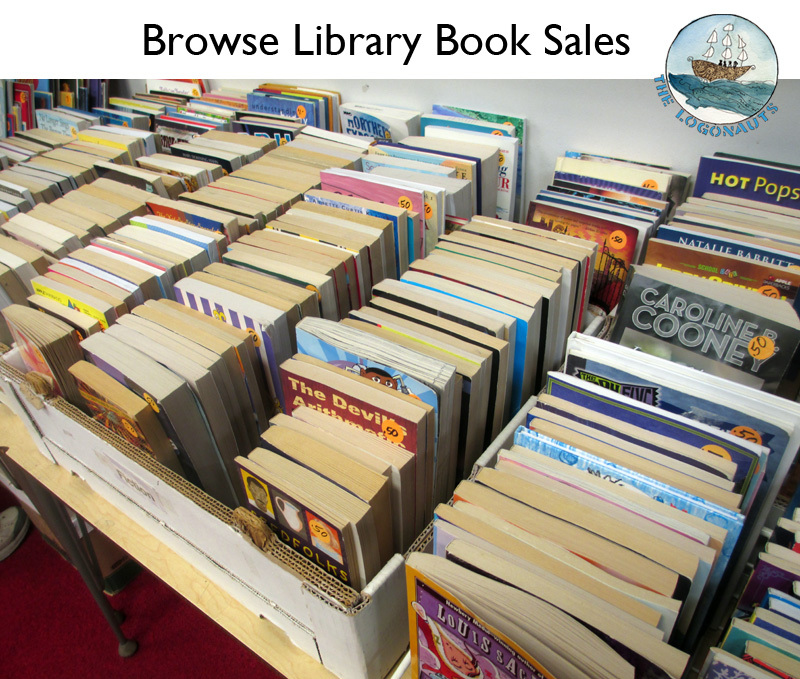 Many libraries accept donations of used books and resell them to raise funds for the library. One of our local libraries has a monthly sale, and I often return with an entire large bag or two of books for around $20. Other libraries have yearly or semi-yearly sales. If you do go to a library book sale, you want to be early. Flipping and reselling books online from cheap book sales has become increasingly popular. While children's books are not usually the target of book resellers, you have the best chance of finding great books if you are there when the sale starts. Check for Scholastic Warehouse sales. Once or twice a year, Scholastic will host teacher-only sales from their book warehouses. While there is often only one warehouse in a given state, you may be in luck, depending on where you are located. Books are usually still a few dollars each, but there will also be clearance areas and special deals. You can check for warehouses and sales here: http://www.scholastic.com/bookfairs/events/warehouse/index.asp . Buy used (online). Many book retailers, including Amazon, Barnes and Noble, and maybe even your local book seller offer used books for sale at discounted prices. You can often find children's books for a few dollars but watch out for shipping costs, which add up quickly. I often only turn to online used books if I need a specific high demand book, such as to finish a series. Accumulate and spend book order points. If your school participates in a book order program, like Scholastic, make sure that you pay attention to and use any book order points your class accumulates. Let families know if there are actions they can take (like ordering online) that can early your class additional books or points. Ask for books as gifts. My school has the wonderful tradition of collecting a teacher "wish list" of books around the holidays. Parents then have the option of buying a book for the classroom if they choose. Kids love seeing their names inside such a book, so making up a little personal "donated by" tag is a great touch. Be committed. A classroom library is a huge investment in your classroom and in your students, and one that will pay dividends for years and years to come. Stay tuned for the next installment when I talk about how I set up and organize my classroom library and labeling and tracking a classroom library.